The picturesque port town and natural harbour of Makarska is situated on the beautiful Dalmatian coast of Croatia. It boasts a charming Riviera that features beautiful beaches, charming clustered houses, and an elegant seafront promenade. The sprawling Makarska Riviera covers an area of 60km, between the towns of Brela and Gradac, and incorporates several quaint little towns and villages. Positioned directly behind is the stunning backdrop of the dramatic Biokovo Mountain and its National Park. Markaska’s prime position, at the foot of the majestic mountain, offers visitors the perfect retreat for fun, entertainment and relaxation. 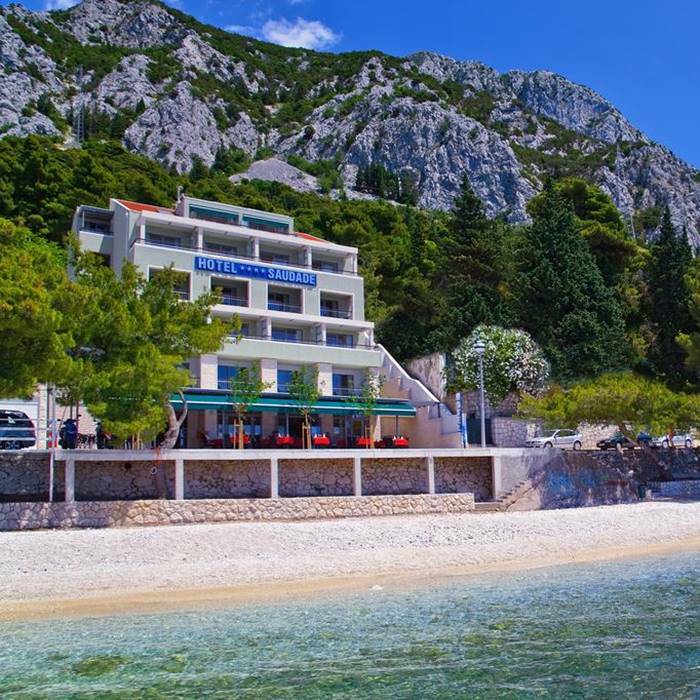 The bustling resort town of the Makarska Riviera is a popular destination for tourists wishing to enjoy natural beauty, spectacular scenery, panoramic views and plenty of amenities. The vibrant seafront promenade is a lively place that is lined with chic bars, cafes, restaurants, and entertainment options. To get away from the noisy crowds, take a walk along the myriad paths and nature trails that wind their way up to the top of the hills. En route to discover breathtaking summit vistas you will pass through lush olive groves, vineyards and scented pine forests. Makarska’s hidden peaceful bays and beautiful beaches provide idyllic spots where you can relax and unwind in privacy. If you’re a nature lover, a visit to Biokovo National Park, and the nearby Kotisina Botanical Garden, is a top day trip itinerary priority. Stroll through the stunning parkland and admire the wonderful endemic plant species. Follow the hiking trails and clamber up the rocks to find the perfect photo opportunity locations. Exceptional coastal views await you from the peak of Biokovo Mountain. Learn all about Makarska’s coastal history and heritage at the Malacological Museum. The museum is situated inside the Franciscan monastery and features the largest collection of snails, mussels and shells in the world. 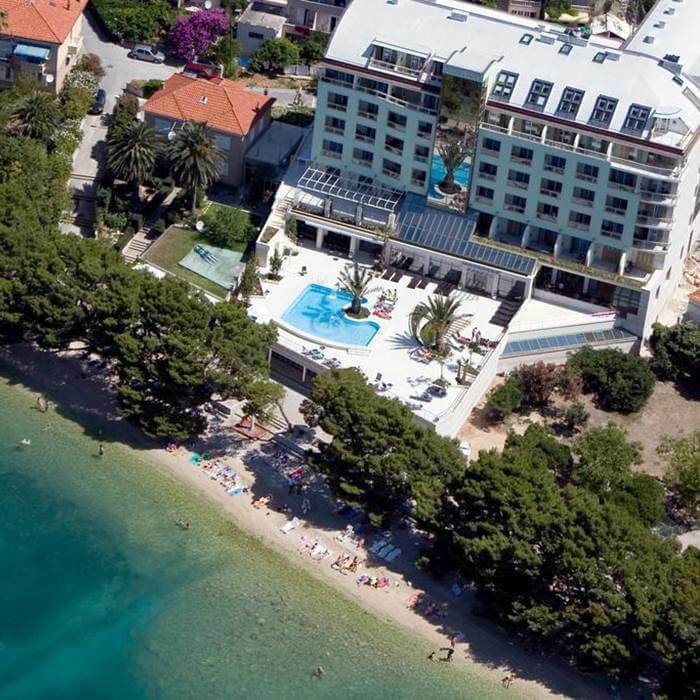 The beautiful resort town of the Makarska Riviera boasts 40 miles of gorgeous pebble beaches where you can swim, snorkel and sunbathe at leisure. Have a wander and find your perfect secluded peaceful bay, and enjoy tranquil relaxation. Many of the beaches feature accessible amenities, like a local beach bar/café or a restaurant where you can enjoy a drink and a traditional Dalmatian lunch. The endless stretch of beach also provides stunning views of the magnificent mountain of Biokovo that offers shade. Enjoy a day trip adventure to the charming port town of Omis. The town is located at the mouth of the Cetina River, where it meets the Adriatic Sea. It boasts ancient pirate history that dates back to the 13th and 14th centuries, and is proudly on display at the weekly pirate night event. Visit the 15th century Starigrad fortress, and admire the numerous beautiful churches. Stretching for 15km, the Omis Riviera offers access to the picturesque villages of Nemira and Ruskamen. Makarska offers access to ferry and boat day-trip excursions to neighbouring islands and ports. If you’re feeling active and adventurous, there are plenty of exciting water-based activities on offer to get your adrenaline pumping. A rafting adventure on the Cetina River is a unique way to enjoy the spectacular scenery of the region, with optional BBQ lunch on the riverbank. The thrilling popular activity takes place in a protected area of the Cetina River canyon and features quiet rafting zones and 2nd and 3rd grade rapids. 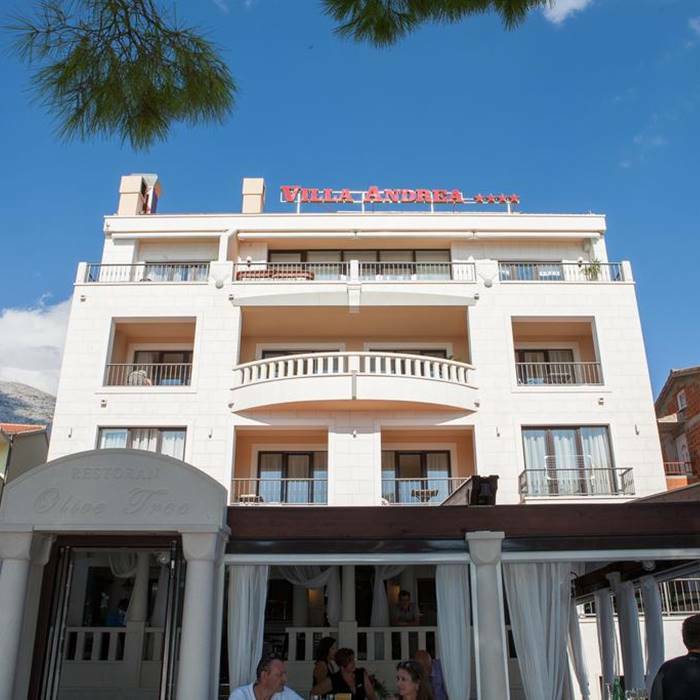 Book your holiday to Croatia at Villa Andrea a chic boutique hotel situated in the charming town of Tucepi, in the Makarska Riviera. The award winning luxurious hotel offers spacious, modern accommodation with spectacular sea views and an intimate ambience.